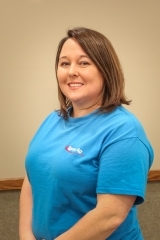 Beverly has been a Tyree Ag employee since 2012. She grew up in the rural town of Leoti, KS, graduated from Garden City Community College, and later lived in Illinois for seven years after she was married to her husband, Jason. With the hopes of raising their kids in a small town atmosphere, they decided to move back to Kansas. Beverly and her husband now live in Kinsley with their two children, Gavin and Taylor. Beverly acknowledges working with the customers and an exceptional staff of Tyree Ag as a beneficial experience and it has strengthened her knowledge of the agriculture industry.